Contemplative, calming, peaceful. The idea for this painting was inspired by the warm, rich colors of a silk scarf I brought back from Cambodia. I searched for just the right Buddha and prayer beads to complement my scarf. 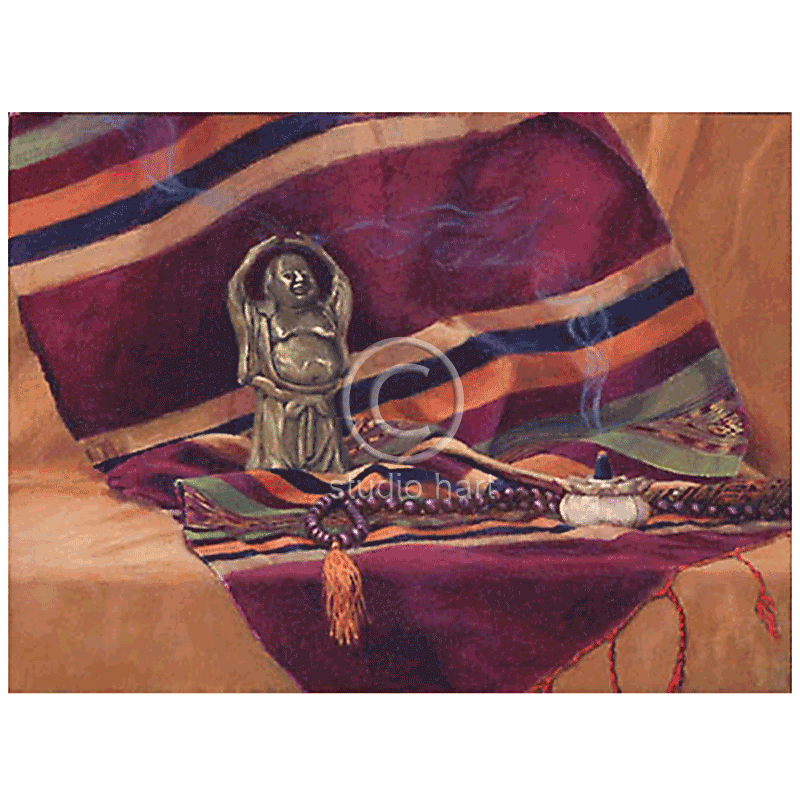 I have found myself drawn to the image of Buddha since childhood and have numerous painting with this theme. Size: Image 12×16″. Paper size 15×19″.